Well, i absolutly Love horses! I ride at stables near my house. The horse i ride( i dont own him) is Bangs! He is my baby!! i absolutly love him! 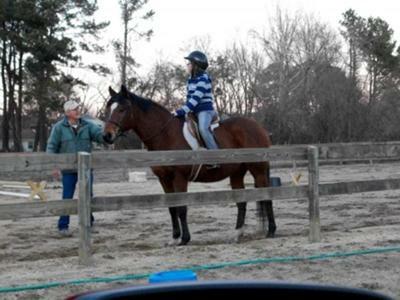 i ride him every monday unless its to cold then ill have to ride another time. I draw horses frenquently and love to ride them( id you didnt aleady notice)!